As you prepare to sell your home, we appreciate the opportunity to assist you in one of life’s most important events. Most real estate companies offer one level of service. We believe you should expect more. Below are outlined some of the key components of the home selling process. Your first step is to have your Coldwell Banker Pacific Properties associate Ron Pineda assist you with practical ideas on how to successfully prepare your house for sale. It will also be a good time to gather all your paperwork that you will need to expedite the closing once you have an accepted offer. Ron can provide you a list of these items. There are many factors that affect the list price of a home: location, condition, amenities, supply and demand, and local and global market conditions. Ron can assist you by providing a thorough market analysis of your home so you will be able to come up with a realistic, competitive pricing strategy that will work for you. Most sellers of single family and condos are required to provide potential buyers with a completed and signed property condition disclosure statement. Failure to provide this form may result in a possible monetary situation at closing. Please consult with Ron Pineda for complete details. At Coldwell Banker Pacific Properties our goal is not to simply sell your house, but help you realize the best price obtainable for your property. To help you achieve this goal we have developed the “Expect More Full Service Home Marketing System”. During the market analysis presentation Ron Pineda will explain every aspect of the selling process to you. When an offer is presented, Ron will advise and help you to obtain the best possible price and terms. Understanding the standard forms and the many transactional issues is key to negotiating the best terms to meet your individual needs. Making sure buyers are pre-qualified is of utmost importance in negotiating a successful sale. 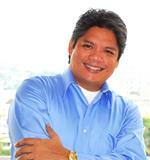 Ron Pineda will promote your interest and assist in developing a clear and binding transaction. If the offer is not acceptable to you, further negotiations may be necessary to reach terms agreeable to both you and the buyer. Because counter-offers are common in this market, it is important that you remain in close contact with Ron Pineda during the negotiating process so that proposed changes can be reviewed and responded to quickly. Timing is critical at this stage. In addition to all the other terms and conditions in the transaction, there will be timelines set to when certain disclosures (and other documents) should be completed and given to the buyer for review. Ron will re-review with you all the terms and conditions you accepted during the counter/negotiation process. Throughout the transaction, you will need to closely monitor the progress of all contingencies to make certain that all deadlines are met. On the day of closing, the buyer will have a “final walkthrough” to make certain that the house is left in the condition as agreed, thoroughly vacated and cleaned. Ron Pineda will be guiding you through these process and will coordinate all signing of closing documents, monitor cleaning and others required to make sure to have a timely closing. The closing is a formal process where all parties sign all the necessary paperwork needed to complete the transaction. Title to the property will be transferred from you to the buyer. The buyer receives the house keys and you receive payment for the house. From the amount credited to you, the escrow company subtracts the funds to pay off the existing loan and other transaction costs.